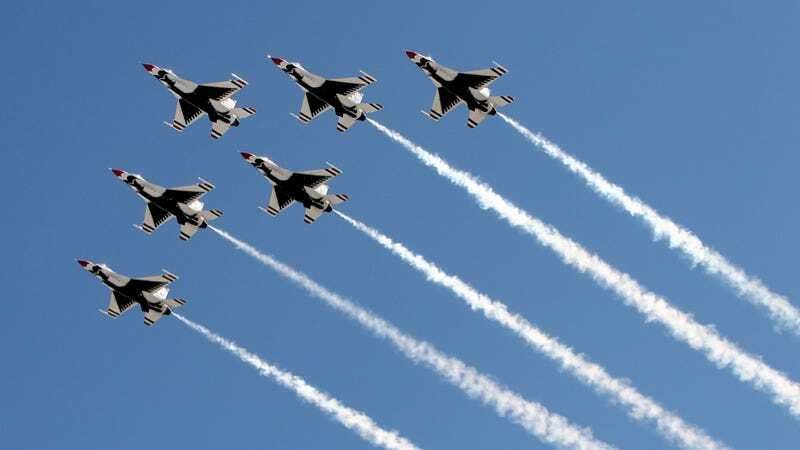 An F-16 fighter jet of the United States Air Force Thunderbirds demonstration team crashed after performing at the U.S. Air Force Academy graduation in Colorado Springs, Colorado. The pilot reportedly ejected, according to local news reports. The pilot is said to be unharmed, but as yet that is unconfirmed, according to news station KKTV. The local Colorado Springs Gazette reported that the cause of the crash was engine failure, citing Air Force Academy officials.